Looking back to almost seven years after Taliban, the situation of women seems to be improved, but on the contrary, the recent researches and the news published in the 8AM daily paper and several other local newspapers tell that the situation for women is going from worse to worse. The war, conflicts, poverty and unemployment have risen. And in this context the Afghans sell their daughters and force compulsory marriages among Afghan families. Many times, children at the age of 7, 8, and 9 are forced to marry. The conditions are severe and often they are raped. After marriage they can't go to school anymore and are faced with lots of difficulties from the family and husbands. Many of them can't bear this harsh position, and they burn or otherwise kill themselves. Some Afghans believe that equality rights between men and women in Afghanistan is only a motto, and nothing more. But actually the woman have been deceived by this motto, and we are witnessing the increasing level of domestic violence against women in Afghanistan. Based on shocking reports about women, domestic violence has extremely risen in the last year. About 87% of woman complain about the domestics violence, half of them are sexually abused and more than 60% of the marriages are by force. On the other hand, decades of war left the country with thousands of widows and orphans. Today, most of them are begging in the streets. A few of them have been taken to orphanages and protective shelters. In the time of Taliban, the women weren't allowed to go to school, but today they have such advantages. But when lots of bad luck falls on them, we see things as sexual abuse, burning, and the killing of women by their husbands. 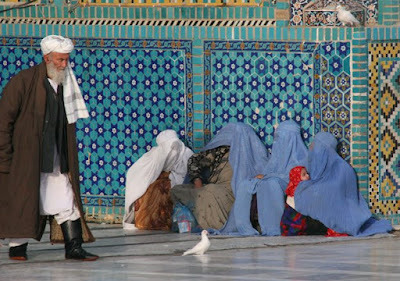 Today, Afghanistan is the highest in rank of self-killing women in the world. 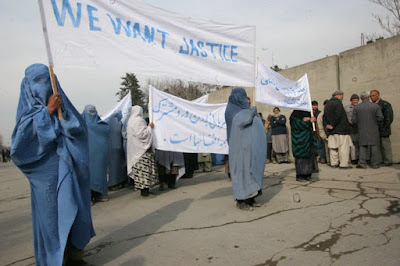 The international community has never been successful to improve the situation of women in Afghanistan. The international community came with their lots of efforts which come alongside democracy and equality among men and women, but still the situation for women is very concerning. Two years ago, a 13 young girl was exchanged with a dog by her father in Kondoz province, another young girl was exchanged for a bottle of Whisky in Kabul, an Afghan young professor killed his wife in Herat province, a woman was cut her lips, nose and ears by her husband in Herat province, another woman was cut her toes by her husband, just a few weeks ago. A non profit organization "Woman Kind" reported that after almost 7 years after the fall of Taliban, Afghanistan is still a dangerous place for women. This report said Afghanistan is a country where the women still burn themselves in order to escape from daily violence and forced marriages with older men. The president of the Afghan House of Representatives has also pointed out to BBC-Persian that half of all women are still being abused.